Ladd, Sarah E. The Weaver’s Daughter. Nashville, TN: Thomas Nelson Publishing. 2018. The Dearborn family has stood firm in their loyalties and determination for keeping the family’s legacy alive as weavers for generations. The Stockton family, though linked to the past through their wool mill, also strives forward with new technology in running the Stockton Mill. Kate Dearborne and Henry Stockton find themselves caught in Britain’s Industrial Revolution while struggling with their own loyalties, beliefs, commitments and emotions. Though they hold different and rivaling ideas, living within the same community forces Henry and Kate to consider options, perhaps even those pertaining to their hearts. 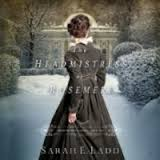 One of my favorite authors, Sarah E. Ladd writes yet another satisfying and complete story surrounding one of my favorite time periods. As a Regency novel, this book was historically interesting, contained developed characters, created a bit of suspense and shared a sweet, clean romance. Just like this author’s previous books, I was truly engaged and didn’t want the book to end. 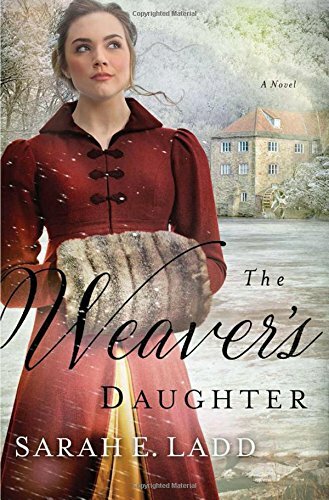 I look forward to reading even more from Sarah E. Ladd as I so enjoyed The Weaver’s Daughter. Well done! Delamere, Jennifer. The Captain’s Daughter: London Beginnings- Book 1. Bloomington, MN: Bethany house Publishers. 2017. As a new author to me, I can honestly say I have found another favorite author in Jennifer Delamere. Grabbed from the first page and reading straight through to the end, this was one of the fastest books I have ever read. 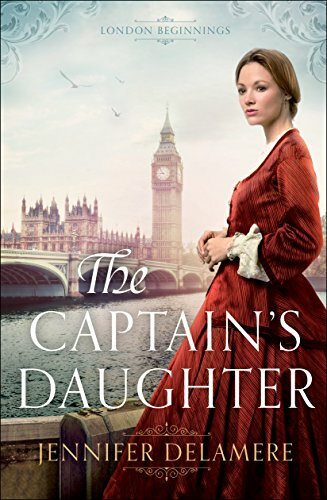 With a bit of turbulence, romance, and secrets mixed with my favorite genre of time and place, The Captain’s Daughter was a success for me. Glad to know this is only book one of the new series, London Beginnings, I absolutely will watch for the next installments. 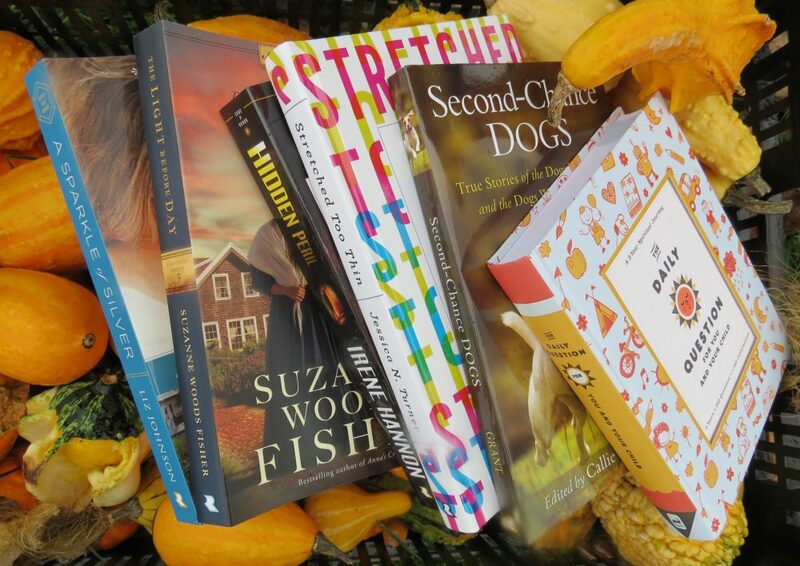 Welcome to my favorite author list, Jennifer Delamere! Ladd, Sarah E. The Curiosity Keeper: A Treasures Of Surrey Novel. Nashville, TN: Thomas Nelson, inc. 2015. Set in England, in the early 1800’s, Camille Iverness works in her father’s Curiosity Shop as a bookkeeper and clerk. Caught in the middle of a mystery regarding the Bevoy (a ruby rumored to bless or curse the possessor), Camille must make difficult choices concerning her family, loyalty, possessions, trust and the handsome apothecary, John Gilchrist. Full of suspense, adventure, secrets, and romance written in high-quality, fast-paced style, The Curiosity Keeper delivers. 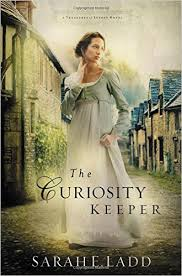 Having read all of Sarah Ladd’s previous novels, The Whispers On The Moors series, I waited (not so patiently) for her newest novel, The Curiosity Keeper, to become available. 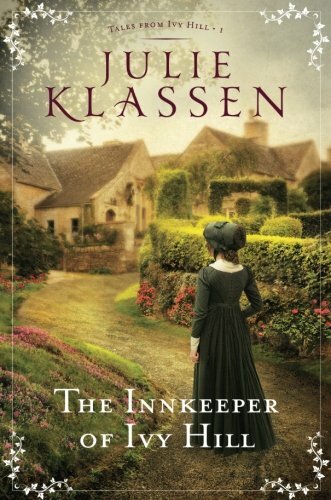 Loving the Regency genre of fiction as well as this favorite author, this book was perfect for me. The interesting tidbits of history surrounding the area and shop, coupled with the mystery of the Bevoy, made for a quick read well past bedtime. My favorite part? Tevy, the large dog involved in the story with a personality all his own! I already look forward to the next book in the series which I hope is in progress now (right, Ms. Ladd? )!